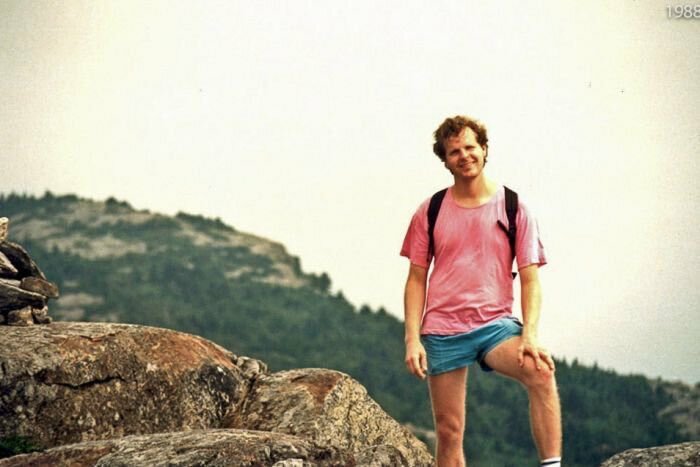 In Australia, the State Coroner has found that 27-year-old American mathematician, Scott Russell Johnson, who died in 1988, fell from a Manly clifftop “as a result of actual or threatened violence by unidentified persons” in a gay hate attack. He died at the base of a cliff near Blue Fish Point on the northern side of North Head, New South Wales. The 3rd inquest into the death of Scott Johnson, who died on 8th December, 1988, has found he was the victim of a gay hate crime. The State Coroner is unable to say who was responsible but says it’s “highly unlikely” he took his own life. The 27-year-old’s body was found at the bottom of a Manly cliff in 1988. The death was caused by the combined effect of multiple injuries sustained in a fall from a height, according to the State Coroner’s Court. “Mr Johnson fell from the cliff top as a result of actual or threatened violence by unidentified persons who attacked him because they perceived him to be homosexual”. An inquest held a few months after the death originally ruled it to be a suicide. However, in 2005, an inquest into the deaths of three young men from injuries sustained from falling from sea cliffs in the 1980s, found their deaths to have been caused by youths involved in systematically assaulting gay men. The findings of that inquest caused Scott’s family to successfully petition to have his case reopened. The second inquest, in 2012, confirmed the identity of the deceased, the date, place and medical cause of his death, but resulted in an open finding as to how Scott came to fall, and a recommendation that the New South Wales Police Force (NSWPF) Unsolved Homicide Team reinvestigate the matter. Strike Force Macnamir was established for this purpose. Strike Force Macnamir also investigated the possible involvement of a number of persons of interest. That investigation, and the fresh evidence it uncovered, was put before the third inquest. Another strike force, established at the same time as Macnamir in 2013, was NSWPF Strike Force Parrabell, which was formed to review 88 cases of solved and unsolved homicides between 1976 and 1999, identified as potentially involving an anti-gay bias. Strike Force Parrabell undertook a bias crime assessment in respect of North Head beat, which took into account, among other things, the investigations that had been conducted by Strike Force Macnamir up to that date. On 18 March 2014, the Commander of the Homicide Squad wrote and requested a further examination of the circumstances surrounding Scott’s death. On 13 April 2015, after hearing from the interested parties, it was determined that the material obtained as a result of the further investigations conducted as part of Strike Force Macnamir, amounted to new evidence that made it desirable in the interests of justice to hold the third inquest. “The inadequacy of the original investigation, the passage of time since the incident and the unreliability of many of the witnesses has made establishing the precise facts more difficult. Nonetheless, I am persuaded to the requisite standard that Scott died as a result of a gay hate attack”.